Halla Tomasdottir, speaks to Angie and students of the DFEI at a National Women’s Council of Ireland event. In this short interview, Halla discusses the Icelandic gender equality movement and the need for better boards and gender balance in the financial sector. 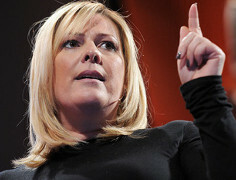 View Halla’s 2010 TED talk, “A feminine response to Iceland’s financial crash“.